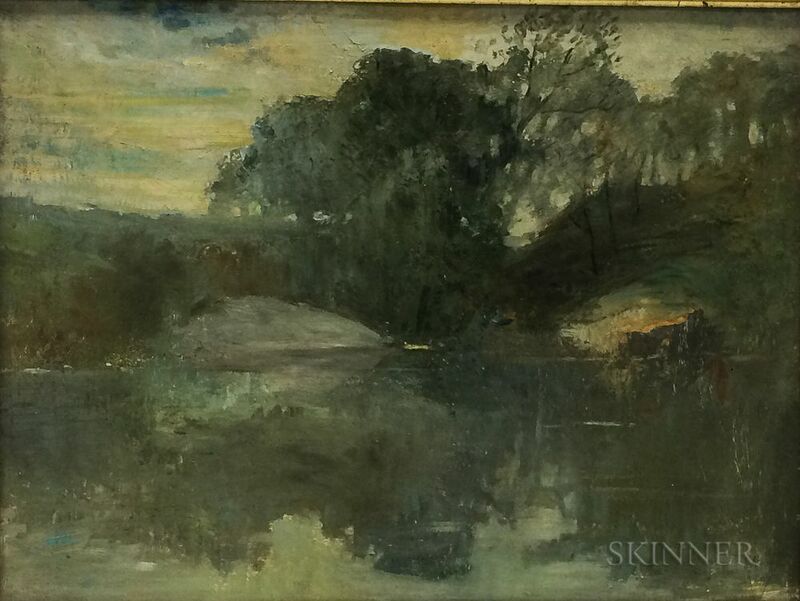 Landscape with Pond, New York, Thought to be Central Park. 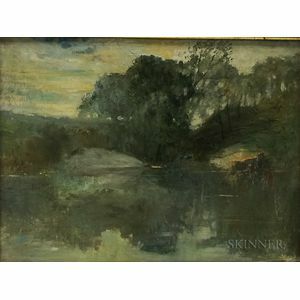 Signed, inscribed, and dated "Matteson/New York/1918" in ink on the reverse. Oil on artist board (Upson Board), 18 x 23 7/8 in., framed (damage to frame). Condition: Surface grime, varnish inconsistencies, warping to the support. There are some minor areas of pigment fluorescence which do not appear to be repairs, but are more likely to be areas of inconsistent varnish. The frame is in really rough shape and quite fragile.